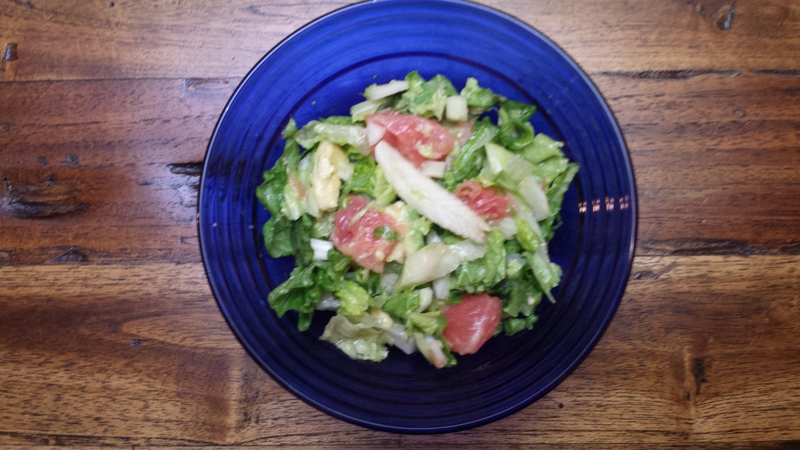 Winter Salad: Grapefruit, fennel, and avacado – helping women with Lupus reclaim their health. Chop all the salad ingredients to your liking. Pour dressing over the salad in an amount of your liking and mix it all up.